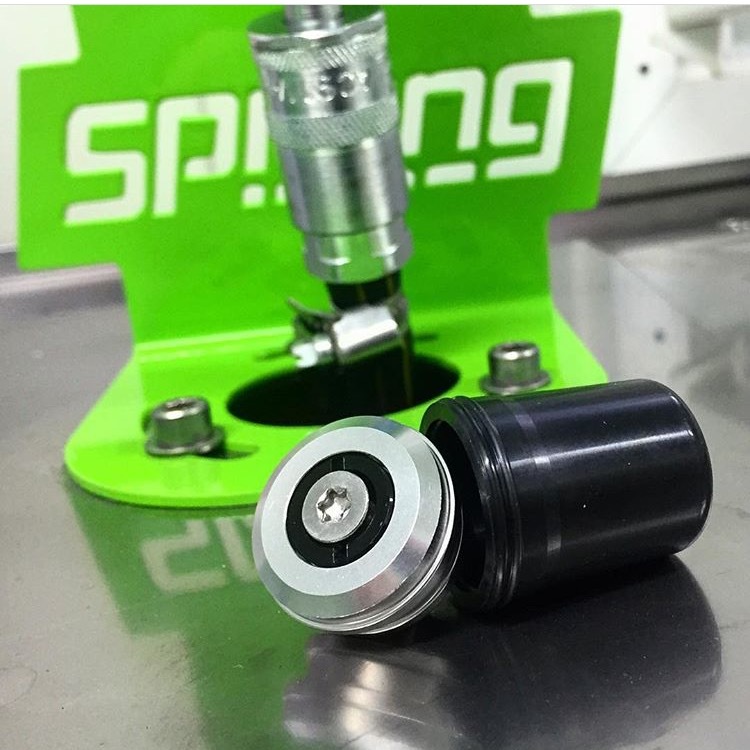 As well as providing some of the top suspension service work in the UK, we have plenty of ways to make your suspension work better, from basic shim tuning to custom manufacturing of new parts. 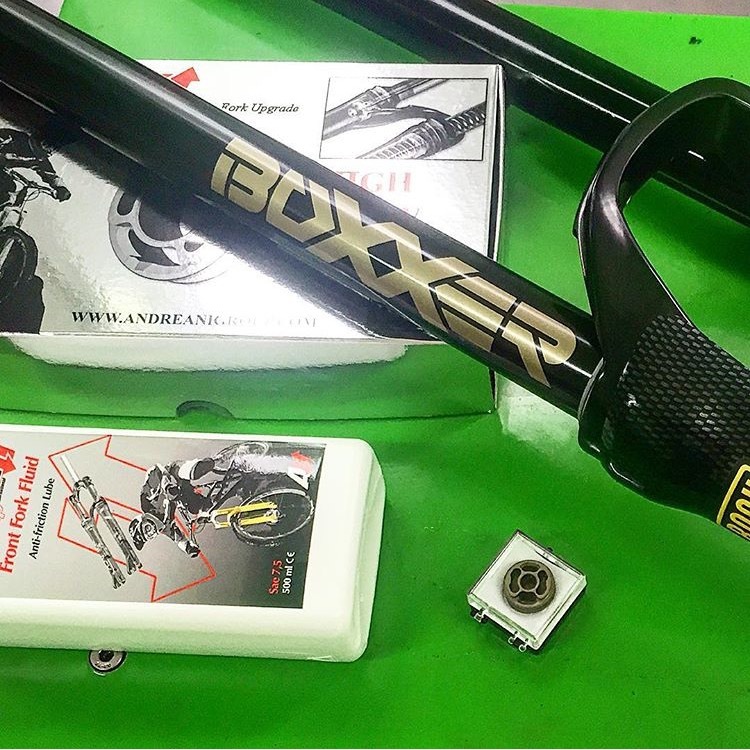 If you’re looking to upgrade or have some serious tuning work done, give us a call and we can help you make the right decision for you and your riding. Some of the basic options are outlined below. Using technology from Swedish suspension masters Ohlins and made by Andreani in Italy, these piston kits drastically enhance the performance of your fork. They increase oil flow, increase shim tuning capability, and use a specially formulated 7.5wt oil. As well as the obvious increase in tuning capability, speed of recovery is faster and the compression of the fork is smoother and suppler. 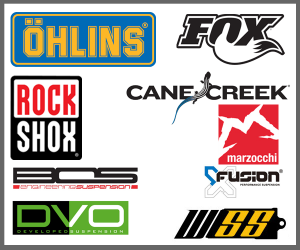 These are available for most Fox and Rockshox forks, and are priced at £200 including fitting and a full service. The WSS Bladder upgrade is compatible with all sizes of Cane Creek Double Barrel, whether air or coil sprung. The bladder replaces the floating piston in the piggyback, reducing breakaway force and making the shock more supple and faster to react to the terrain. As well as the performance benefit, the piggyback end caps are available in black, silver, red, blue and pink, as well as the standard issue gold. The price is £40, added on top of a full service. 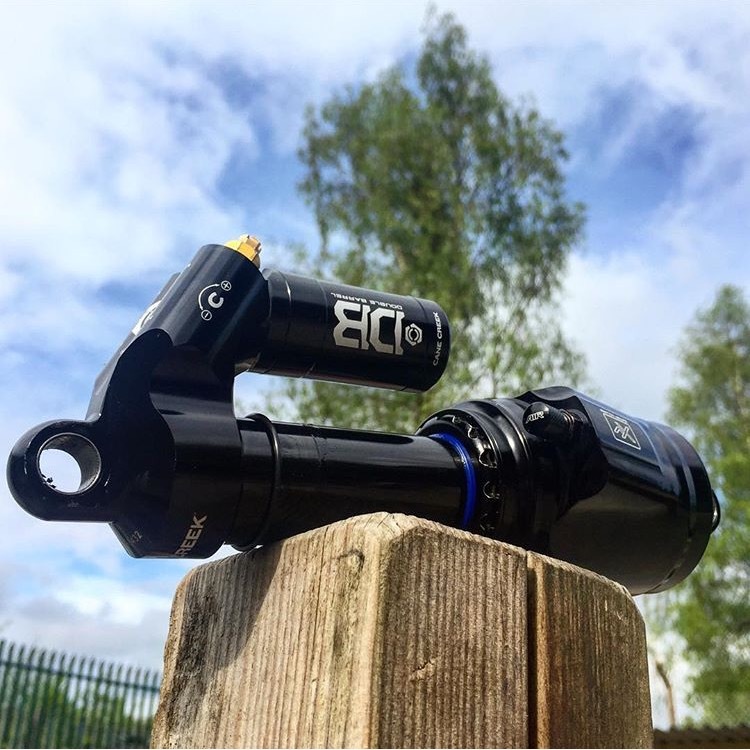 Available for all sizes of CCDB Air, these black damper bodies replace the original grey body. They have a low friction coating, and look super pimp to boot.